Project: Kitchen and main floor renovation. 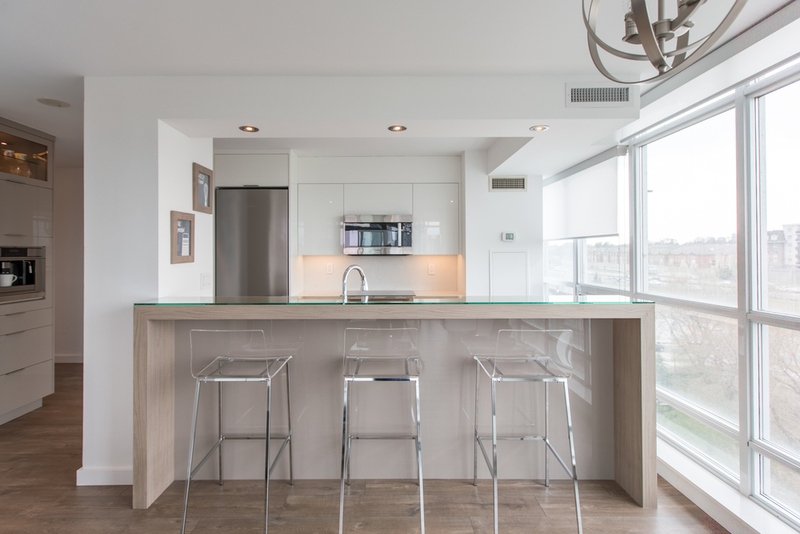 This kitchen renovation project really maximized the use of available space and its mix of materials and textures really gives a clean, modern yet warm aesthetic. 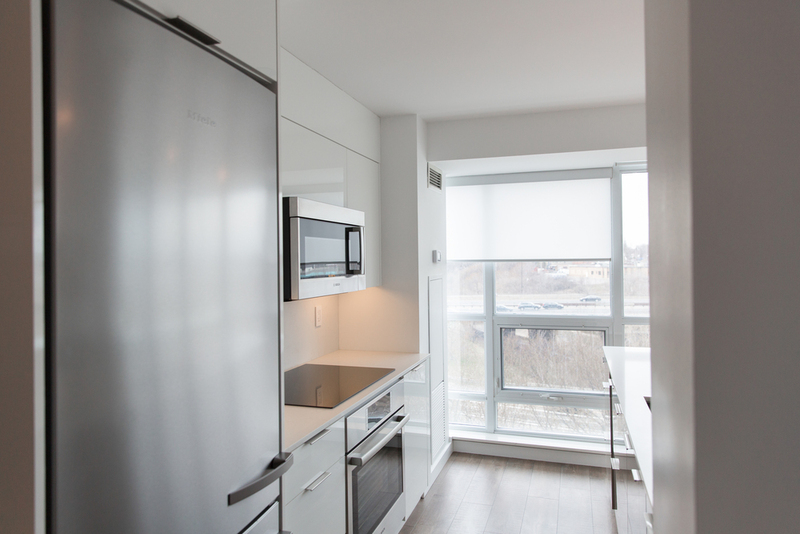 The cabinetry on the back wall is a clean bright white high gloss material which was designed to reflect the generous amount of natural light streaming in from the floor to ceiling windows. 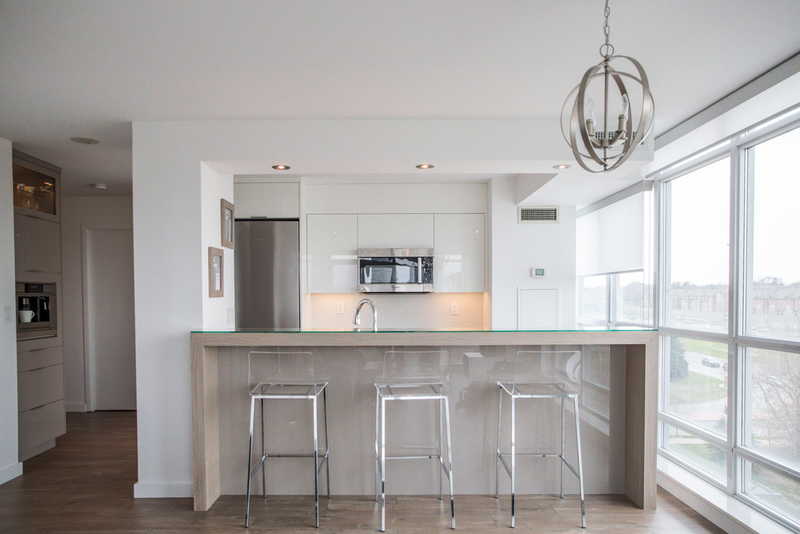 The island and side pantry area is made from a textured panel and really complements the high gloss white, while still maintaining a modern look. All counters are Caesarstone quartz. A wall was removed to make the kitchen larger, allowing us to add an additional 2’ of cabinetry on the rear wall. The side pantry includes a built in espresso machine and hidden LED lighting in the glass upper cabinets. 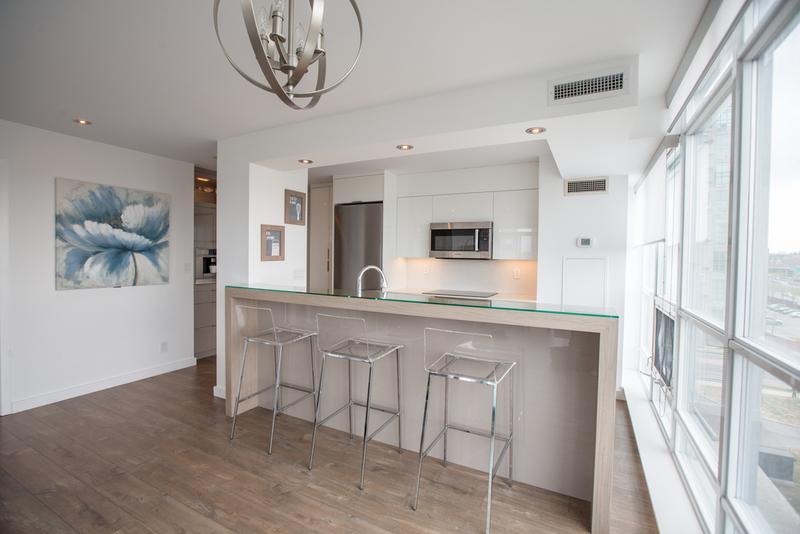 One of the unique parts of the kitchen is the raised island bar. Instead of covering it with quartz, we used the same cabinet material for the top and covered it with a lightly frosted glass to protect it while still being able to see it. Cool fact: This started out as a simple flooring project! The client decided that since she was going to remove a lot of furniture for the flooring project, she might as well to do the kitchen as the same time.